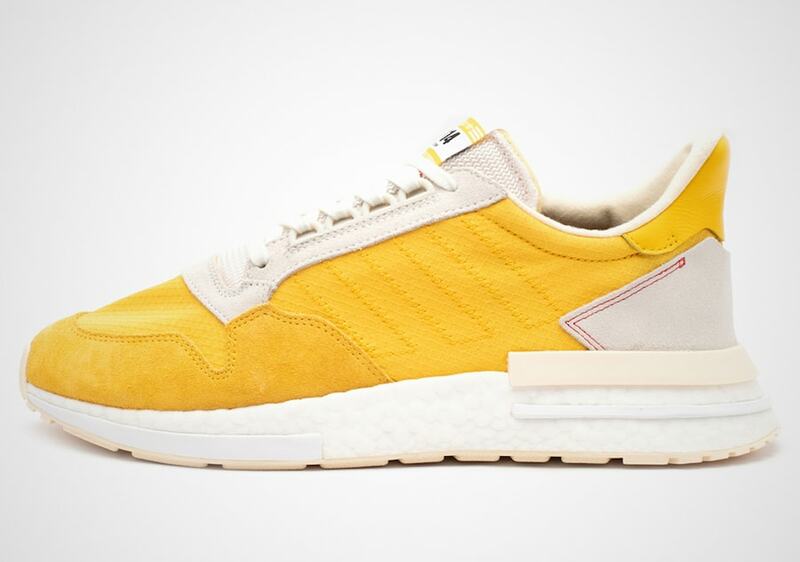 adidas continues to revisit classic models while implementing a new-age aesthetic. The newest ZX 500 RM is no exception, boasting a classic upper look with an updated Boost sole, the model combines style and comfort into one. 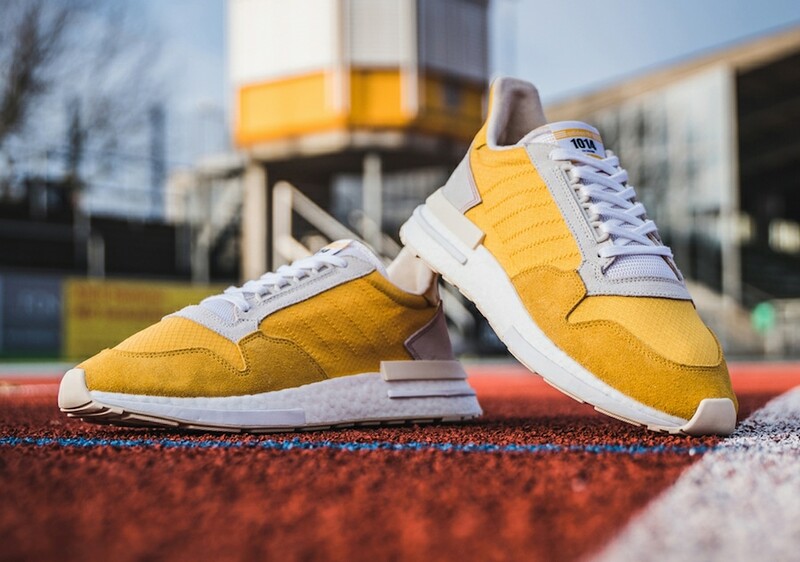 While many of the previous ZX 500 RM releases have appeared in neutralized colorways, the newest rendition boasts a vibrant yellow color scheme. This allows the model to create a simplistic look while accentuating the design itself. 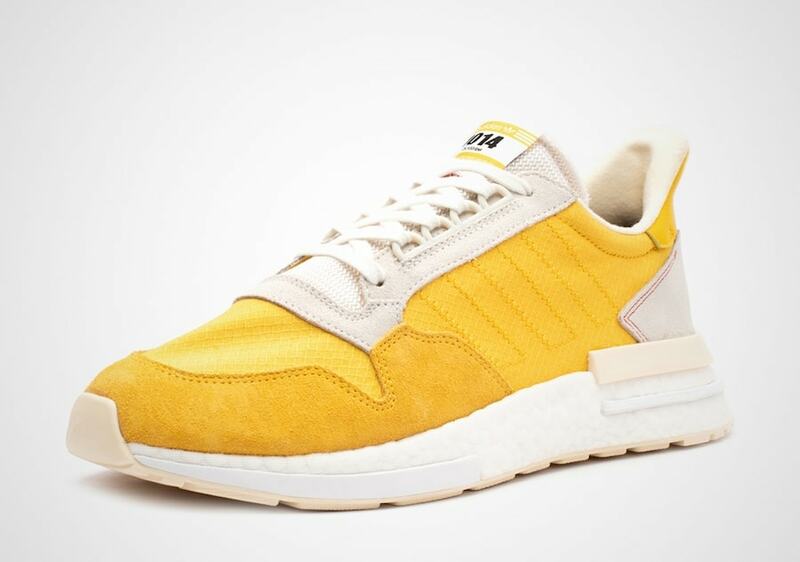 adidas emphasis in retro fashion is prevalent throughout many of their sneakers, and this silhouette is no exception. Composed of suede and nylon materials, the two come together to create a flexible and lightweight upper. 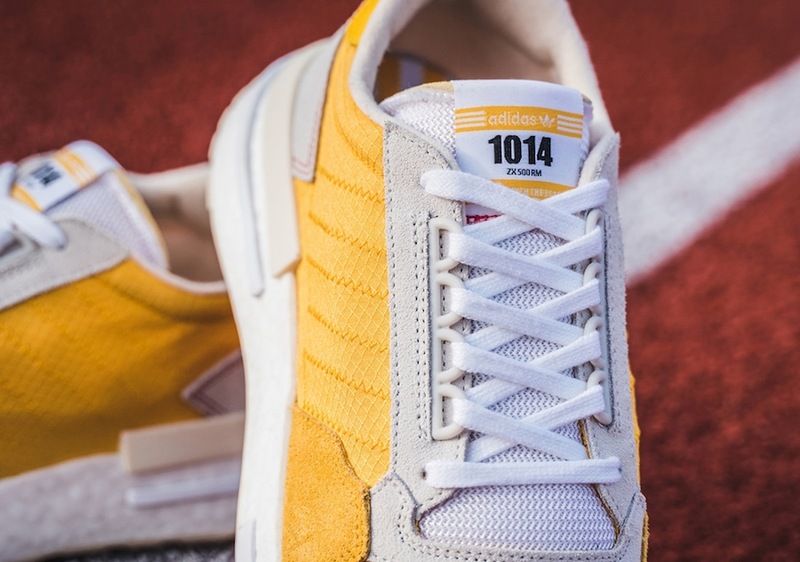 Light cream accents are seen through the eyestay and heel portions of the shoe, while the tongue patch resembles a race-inspired bib with a bold number that reads “1014”. 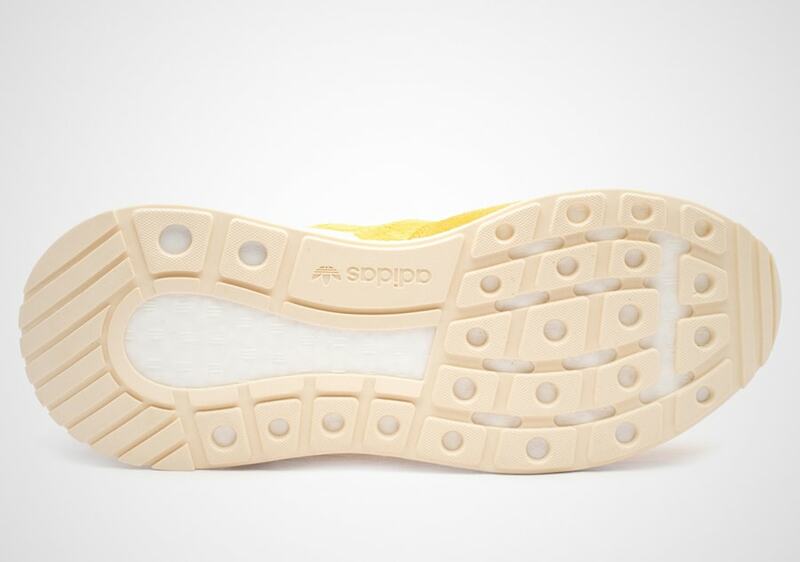 The model comes together with the comfort of a Boost sole and added stabilizers for full mobility and support. While no official date has been given, fans can speculate a Spring release date. 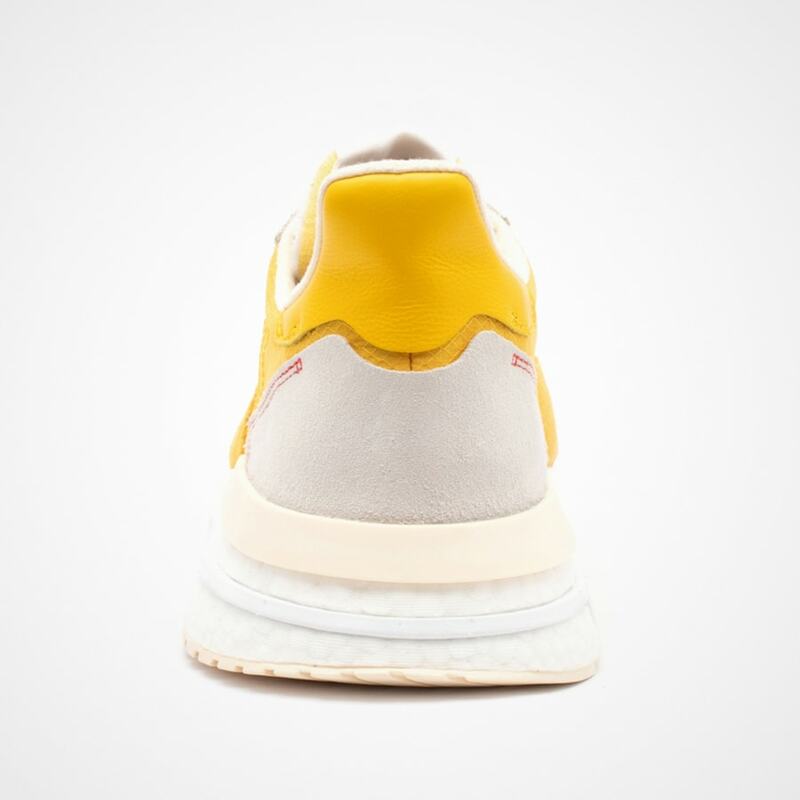 With a price tag of $140 and a Boost sole, this model is a go-to during the coming season for fans of comfort and style. 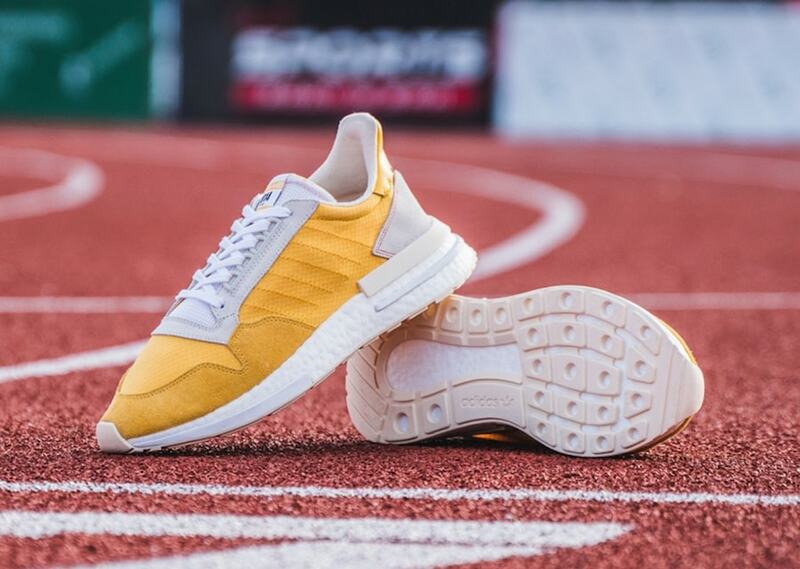 Continue reading below for detailed pictures and as always, be sure to follow JustFreshKicks for all adidas related news.